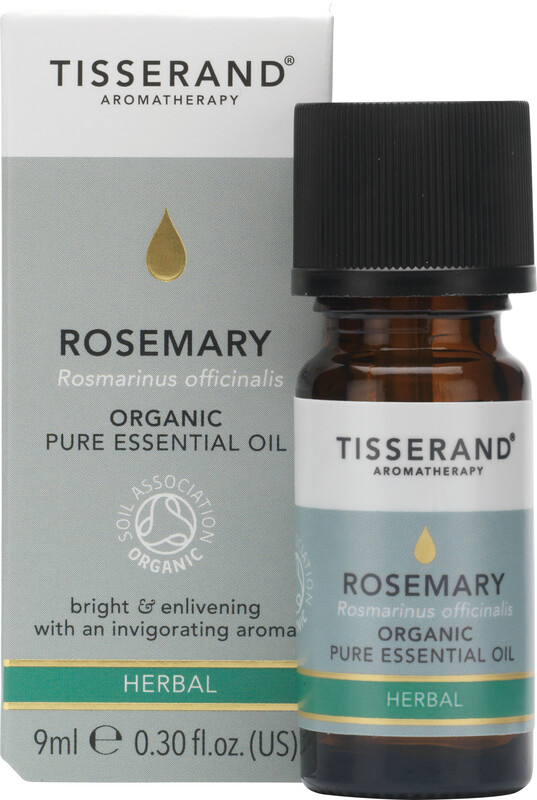 Tisserand Rosemary Essential Oil is a fresh, stimulating oil with a woody, herby and distinctive aroma that’s ideal for massage. The organic Rosemary in this essential oil has been harvested from the leaves of the herb grown all over sunny Spain. Rosemary has many health benefits when used as a massage oil, including toning skin, stimulating circulation, relieving pain and providing relief from respiratory congestion. For massage, Rosemary blends well with Eucalyptus, Grapefruit, Lavender and Peppermint oil. For a relaxing experience add a few drops to hot bath water or your vaporiser to calm a tired mind and body. Not recommended for pregnant or breastfeeding women. For general body massage, add up to 5 drops of this essential oil to at least 10ml of blending oil. For vaporisation, add a few drops to your vaporiser and allow to diffuse. Before use please ensure you read the Essential Oil Safety Information Leaflet, enclosed in the packaging.